The main purpose of this report is to analyze the trends of overall banking services and their customer’s satisfaction of Mercantile Bank. Other objectives are to observe the customers and their satisfaction about banking services and describe the General Banking, SMS Banking, ATM facilities and other facilities provided by Mercantile Bank. Finally draw SWOT analysis and provide the recommendation for improvement of Mercantile Bank. The primary objective of this report is to comply with the requirement of my course. But the objective behind this study is something broader. The principal intent of this report is to analyze the trends of overall banking and their customer’s satisfaction. Objectives of the study are summarized in the following manner. 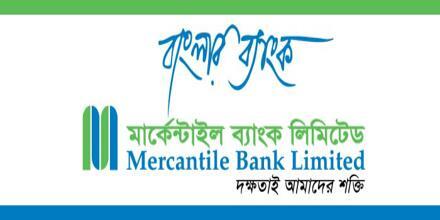 To identify the present state of Mercantile Bank Limited (MBL), Main Branch. To observe the customers and their satisfaction towards the MBL. To observe the customers reaction towards service of MBL. To describe the General Banking, SMS Banking, ATM facilities and other facilities provided by MBL. To draw SWOT analysis of MBL, Main branch. To discuss the potential of MBL. To provide the recommendation for improvement of MBL. Finally, to sketch out the overview of Mercantile Bank Limited (MBL). Mercantile Bank Limited is a scheduled private commercial bank established on May20, 1999 under the Bank Company Act, 1991 and incorporated as a Public Limited Company under Company Act, 1994. The Bank started commercial banking operations from June 02, 1999. During this short span of time, the Bank has been successful to position itself as a progressive sand dynamic financial institution in the country. for itself and has earned significant reputation in the country’s banking sector as a bank with vision. The company Philosophy -“Efficiency is our strength” has been exactly the essence of success of this Bank. Mercantile Bank Limited has been licensed by the Government of Bangladesh as a scheduled Bank in the private sector in the process of the policy of liberalization of banking and financial services or Bangladesh. In view of the above, the Bank has, within a period of eight years of its operation, achieved a remarkable success and has always met up capital adequacy requirement set by Bangladesh Bank. There are twenty-seven sponsors involved in creating Mercantile Bank Limited; the sponsors of the Bank have a long heritage of trade, commerce and industry. They are highly regarded for their entrepreneurial competence. The sponsors happen to be member of different professional groups among whom are also renowned banking professionals having vast range of banking knowledge. There are also members who are associated with other financial institution like companies, leasing company’s etc. The board of directors consists of 21 members elected from the sponsor of the bank. And the board of directors is the apex body of e bank. All route matters beyond delegated owners of management are decided upon by or routed through the executive committee, subject to ratification by the board of directors. Bangladesh in terms of cost efficiency. In terms of market share in all significant market segments we serve. MBL, being one of the best financial intermediaries in the country, blended in operation in conventional banking, Merchant banking and Retail banking. The blending has been done with the objective of diversifying the operations for catering to the needs of the customers of the different sterna of the society from one viewpoint and for having sustainable growth in profitability and business with the least possible risk. The bank’s operations were diversified into the following areas of activities as a dynamic financial intermediary. In order to carry out the above operations of Mercantile Bank Ltd has set up the following divisions, departments and units in its head office. For the operations by the above-mentioned divisions, the bank has established the following divisions to provide support and internal services. The professionalism, dedication and loyalty demonstrated by the client and people are the corner stone of the success in this bank. And the main aim of MBL is to improve the competitive position in the chosen market segments and make steady investment in the core business. The importance of the mobilization of saving for economic development of our country can hardly be over emphasized. The bank considers savings and deposit as life-blood of the bank. More the deposit, greater is the strength of the bank. So, they intends to launch various new savings schemes with greater is the strength of the bank and prospect of higher of return duly supported by a well-orchestrated system of customer services. Technology such as computer, ATM, Tele-communication etc. all would be harmonized and adapted to the system in order to provide round-the-clock and any-branch services to the clients. Travelers’ cheques, credit cards and other ancillary services including payment of different bills from one counter will also be introduced to achieve the ultimate goal of ONE-STOP service to the customers’ value. The bank would cater to the credit needs of individuals as well as corporate clients. Initially it will emphasize on trade finance, which would be short-term and self-liquidating in nature. Considering the importance of Export and Import and also handing of foreign remittance business would be given top-most priority. Customer credit is a relatively new field of micro-credit activities. People with limited income can avail with this credit facility to buy any household effects including car, computer and other durable. Mercantile Bank Limited (MBL) will play a vital role in extending the consumer credits in line with its policy of people-oriented banking. Lease-Finance is an area of business where the bank would activity participates. Because of certain built-in advantages, the industrial entrepreneurs are being increasingly attracted to this type of financing. Moreover, Mercantile Bank Limited (MBL) intends to expand the scope of this finance to include financing of agricultural equipment’s as well. The bank would not depend only on interest earnings; rather it would strive hard to go for fee-based income from non-activities of the bank. This type of business include capital market operations like Underwriting, Portfolio management, Mutual fund management, Investors’ account as well as commission-based business like Letter of Guarantee, Inland remittance, Foreign remittance etc. These businesses usually do not involve bank’s fund, but on the contrary, offer immense opportunity and scope to expand bank services to the members of public at large. Bangladesh is one of the less development countries. So the economic development of the country depends largely on the activities of commercial Banks. So I need to emphasis whether these commercial Banks are effectively and honestly performing their functions, assign their duties, and responsibilities and whether the customers are really satisfy or not. In thus respect I need to know about the general banking function of Mercantile Bank Limited, Main Branch, Dhaka. The general banking department does the most important and basic works of the bank. All other departments are linked with this department. It also pays a vital role in deposit mobilization of the branch. MBL provides different types of accounts, locker facilities and special types of saving scheme under general banking. For proper functioning and excellent customer service this department is divided into various sections namely as follows. The customer than deposit the “initial deposit” by filling up a deposit slips. Initial deposit to open a current account in MBL is Tk. 10000.00 and saving account is Tk. 5000.00. When the following requirements are fulfilled, the account is considered to be opened. MBL maintains all of its accounts in computer. After depositing the initial deposit, MBL records it in the computer by giving new account number. Then it issues cheque book requisition slip by the customer. Then it distributes all relevant papers to respective department. A copy of resolution of the company that the company decided to open an account in Mercantile Bank Limited. Prior approval of the Head Office of MBL. T. Confirmation Advice is sent to the drawee branch. Sometimes customers use demand draft for the transfer of money from one place to another. For getting a demand draft, customer has to fill up an application form. The form contains date, name and address of the applicant, signature of the applicant, cheque number (if cheque is given for issuing the DD), draft number, name of the payee, name of the branch on which the DD will be drawn and the amount of the DD. The form will be duly signed by the applicant and by the authorized officer. MBL charges .15% commission on the face value of DD as service charge. Duplicate Draft is not normally issued unless getting of satisfactory evidence is produced regarding loss of the draft. If the L.D. is reported to be lost or stolen, the issuing branch on receipt of a written request from the purchaser may issue a duplicate draft. Verify the purchaser’s signature on the request letter from the signature appearing on the original application form. Immediately issue a stop payment instruction to the drawee branch under advice of head office and obtain confirmation of non-payment the L.D. in acquisition. Should obtain an Indemnity Bond on stamp paper as per prescribed format from the purchaser duly signed by him. The branch will thereafter write to head office for their approval to issue a duplicate draft. The head office on receipt of the request from the issuing branch will immediately issue a caution circular to all the branches regarding the lost of the local draft asking them to record stop payment. The head office will thereafter issue clearance to the issuing branch for issuing for issuing a duplicate draft in lieu of original reported lost. On receipt of the clearance from head office, the issuing branch will issue a completely fresh draft marking clearly the words duplicate issued in lieu of original draft no………………. dated …………….in bold letters on the top of the front page of the draft. The printed serial number on the draft should not however be struck off. Intimation should be given to the drawee branch furnishing full particulars of the duplicate draft. The particulars of the duplicate draft must resemble those of the original draft in all respects, i.e., all the particulars to the duplicate draft must be identical with those in the original draft. No further IBCA is to be issued for the duplicate draft. Prescribed duplicate issuance charge is to be recovered for issuing the duplicate draft and credited to “Income Account”. The payee or purchaser of the draft cannot give stop payment instruction to the drawee branch. If the paying branch receives a request from the purchaser of the draft for stopping payment of the draft, it will ask the purchaser to approach the issuing branch about the purpose. The paying branch should however exercise necessary precaution in this regard. Only the issuing branch can issue instruction for stop payment of the draft under special circumstances. Bank is the largest organization of mobilizing surplus domestic savings. For poverty alleviation, we need self-employment, for self-employment we need investment and for investment we need savings. In the other words, savings help capital formations and the capital formations help investments in the country. The investment in its turn helps industrialization leading towards creation of wealth of the country. And the wealth finally takes the country on road to progress and prosperity. As such, savings is considered the very basis of prosperity of the country. The more the growth of savings, the more will be the prosperity of the nation. The savings rate in Bangladesh is one of the lowest in the world rate of domestic saving being 17.78 %. In order to improve the savings rate, Financial Institutions responsible for mobilization of savings should offer attractive Savings Schemes so that the marginal propensity to save increases. The savings do not, of course, depend only on the quantum of income but largely depend on the habit of savings of the people. In banking business transactions are done every day and these transactions are to be recorded properly and systematically as the banks deal with the depositors’ money. Any deviation in proper recording may hamper public confidence and the bank has to suffer a lot. Improper recording of transactions will lead to the mismatch in the debit side and credit side. To avoid these mishaps, the bank provides a separate department whose function is to check the mistakes in passing vouchers or wrong entries or fraud or forgery. This department is called Accounts Department. Besides these, the branch has to prepare some internal statements as well as some statutory statements, which are to be submitted to the Central Bank and the Head Office. This department prepares all these statements. According through the 37(2) of Bangladesh Bank Order 1972, which are the member of the clearinghouse, are called as Scheduled Bank. The scheduled banks clear the cheques drawn upon one another through the clearinghouse. This is an arrangement by the central Bank where every day representative of the member banks gather to clear the cheques. Banks for credit of the proceeds to the customer’s account accept cheques and other similar instruments. The banks receive many such instruments during the from account holders. Many of these instruments are drawn payable at other banks. If they were to be presented at the drawer banks to collect the proceeds it would be necessary to employ many messengers for the purpose. Similarly there would many cheque drawn on this the messengers of other banks would present bank and then at the counter. The whole process of collection and payment would involve considerable labor, delay, risk and expenditure. All the labor, risk, delay and expenditure are substantially reduced by the representative of all the banks meeting at a specified time, for exchanging the instruments and arriving at the net position regarding receipt of payment. The place where the banks meet and settle their dues is called the Clearinghouse. The Clearinghouse sits for two times a working day. The members submit the climbable cheque in the respective desks of the banks and vice-versa. Consequently the debit and credit entries are given. At the debit summation and the credit summation are calculated. Then the banks clear the balances through the cheque of Bangladesh Bank. The dishonored cheque are sorted and returned with return memo. At the end of the day these registers will be compared to ensure the correctness of the entries. The telecommunications industry worldwide has scrambled to bring what is available to networked computers to mobile devices. Presently, the use of electronic banking is considerably high and as more and more users sign up for electronic- banking, the maturity as regards remote banking (i.e. banking outside the banking hall) is on the increase. With electronic banking, users can now conveniently carry out banking transactions, but this convenience cannot be achieved if the user does not have access to the internet, hence, in other words, the user cannot carry out a banking transaction while waiting for a bus, or perhaps while having lunch in a restaurant. With SMS banking, convenience can be achieved 24 hours a day. This is because a user has access to his mobile phone all day, at all times. So, to effectively achieve a truly convenient banking mode, a truly mobile mode of banking has to be explored, hence the need for SMS Banking. The SMS banking solution targets the retail banking industry and enables customers to make account enquiries and transact bank accounts through mobile phones. Banks can automatically send transaction notifications and alerts to mobile phones, if specific events in the banking business work-flow occur. The solution provides convenient and latest front-end technology and a flexible architecture to support an SMS based delivery channel and to provide significant benefits for both the bank and the customer. As the time goes by, life style changes. To keep up, MBL welcomes to SMS Banking Service, one of the most modern banking services. MBL SMS banking Service is convenient, safe, low-cost, fast and available round the clock. Mercantile Bank provides the following SMS banking services. Automatic teller machines (ATMs) ensure that cash is easily accessible, whenever and wherever someone needs cash. It helps businesses facilitate cash-only transactions and you avoid the mounting fees of credit card processing or check cashing, while also generating revenue for your business via a share of the transaction fees collected by the ATM provider. The Bank carries its banking activities through 41 branches in the country. Mercantile Bank customers have access to 59 ATMs as a member of ETN. Under the ATM network the software enables direct linking of a client’s account, without the requirement of a separate account. Mercantile Bank Limited has already set up its own ATM machine at 15 corresponding branches and is also in the process of setting up its own ATM network at every focused point in the city with a view of providing retail banking services. No Cash Withdrawal Fee: For withdrawals of cash from MBL ATM by MBL cardholders no cash advance fee is necessary and from any other Q-cash ATM the fee is Tk.10 only. MBL is the only bank offering such unique facility. Moreover, our VISA Cardholders can also withdraw cash from any Visa logo ATM locally and internationally. Acceptability: International/Dual card is accepted all over the world at millions of outlets and ATMs. A Dual card is also accepted in most of the big cities like Dhaka, Chittagong, Khulna, Rajshahi, Sylhet at more than 10,000 outlets including 4500 POS. It covers various kinds of merchants like hospital, hotel, restaurant, department store and the card has accessibility to any outlet having VISA logo. Credit Facility: Mercantile Bank Ltd. Visa Credit card offers maximum 45 days credit facilities free of interest and minimum payment is 5% of outstanding billing payment for easy repayment and convenience of the customers. Supplementary Card: A Principal cardholder (local) may apply for more than one supplementary card where one supplementary card is free. Expenses made by supplementary card will be charged to the principal card. Advance against Credit card: MBL cardholder can take advance as term loan up to 50% of the card limit to be repaid on the monthly installment basis. Any POS transaction over TK. 20000 but not exceeding 50% of the credit limit is convertible to Personal loan/CCS and to be repaid on monthly installment basis. Repayment period of such loan may be from 6 months to 36 months. Overdraft Facilities: Overdraft facilities up to 80% of the credit card limit may also be allowed for payment of the installment of scheme deposit with our Bank. Payment of Utility Bill: Payment of utility bills like telephone bills, gas bills, electric bills, water bills, may be settled by card. Dual Card (two in one): Single Card with double benefits. No hassle to carry two cards (local and international). A single credit card can be used both locally and internationally to withdraw cash from ATM for POS transaction. This is the special feature of MBL Visa card. Debit Card: Visa debit card is mainly tagged with deposit account (CD/SB/STD) that is automatically debited from the A/C having available balance. Debit card can also be used for purchasing goods, services, payment of utility bills etc as well as withdrawal of cash from ATM. Pre-Paid Card: Those who have no account with MBL may avail Pre-Paid card facilities. The Pre-Paid cardholders pay first buy later. Pre-Paid card offers the convenience and security of electronic payment in situations where one might otherwise use cash, such as birthday gift or a monthly allowance for a young adult. Examples include gift cards and salary payment etc. Customer should maintain a deposit (SB/CD/STD) A/C with any branch of MBL. Other than MBL account holders may also avail Pre-Paid card against deposit of money. Lien confirmation of RFCD A/C is required from the concerned Branch/Bank for issuance of card against RFCD A/C. For issuance of card against the balance in ERQ A/C maintained with us or with other bank, lien confirmation should be obtained from the respective Bank/branch. For issuance of card against new exporters and importers/producers quota relevant papers such as, recommendation letter from EPB/ copy of tax return etc. is required. After opening a bank account in the bank the customer is provided with ATM card and also his password. Customer will go to any ATM booth of the bank and punch his card and then provide the password with mentioning the required amount of money. When he provides his password the bank check it with their database information. If there is balance in the customer’s account the server of the bank give the ATM machine confirmation to provide the customer the required money. Mercantile Bank Limited is a third generation bank, which is committed to provide high quality financial services/products to contribute to GDP through stimulating trade & commerce, accelerating the pace of industrialization and boosting up export by allowing credit facilities. The failure of the commercial bank is mainly occurs due to bad loans, which occurs due to inefficient management of the loan and advance portfolio. The objective of the credit management is to maximize the performing asset and the minimization of the non-performing asset as well as ensuring the optimal point of loan and advance and their efficient management. Credit management is a dynamic field where a certain standard of long-range planning is needed to allocate the fund in diverse field and to minimize the risk and maximizing the return on the invested fund. Continuous supervision, monitoring and follow-up are highly required for ensuring the timely repayment and minimizing the default. SOD (General): Advances allowed to the individuals/firms against financial obligations i.e. lien of F.D.R or Defense Savings Certificate (P.S.P), ICB Unit Certificate etc. SOD (Others): Advances allowed against assignment of work order for execution of contractual works falls under this head. The advance is generally allowed for specific purposes. It is not a continuous loan. Cash Credit (hypothecation): It is a short-term arrangement by which a customer is allowed to borrow money up to a certain limit sanctioned by the bank for a certain time. Under he condition the borrower is required to submit the stock fortnightly in the bank specimen form. It is allowed to maximum a period of one year. Cash Credit (pledge): It is also a continuous loan allowed against pledge of goods as primary securities fall under this head of advance. Payment made against documents representing sell of goods to local export oriented industries, which are deemed as exports, and which are denominated in Local currency/ foreign currency falls under this head. The bill of exchange is held as the primary security. The client submits the usance bill and the bank discounts it. This temporary liability is adjustable from the proceeds of the bills. MBL considers the loans, which are sanctioned for more than one year as term loan. Under this facility, an enterprise is financed from the starting to its finishing, i.e. from installation to its production. MBL offers this facility only to big industries. The loans are allowed to individual or firm or industries for a specific purpose but for a definite period and generally repayable by installments fall under this lead. These types of lending are mainly allowed to accommodate financing under the categories. The foreign exchange has played a vital role in the last decade or so in guiding the purchase and sale of goods, services and raw materials globally. Every country has certain natural advantages and disadvantages in producing certain commodities while they have some natural disadvantages as well in other areas. As a result, we find that some countries need to import certain commodities while others need to export their surpluses. Foreign trade brings the fruits of the earth to the homes of the humblest among the countries. These transactions are the basis upon which international trade is made. As more than one currency is involved in foreign trade, it gives rise to exchange of currencies, which is known as Foreign Exchange. The term ‘Foreign Exchange’ has three principal meanings. Firstly, it is a term used referring to the currencies of other countries in terms of any single one currency. To a Bangladeshi, Dollar, Pound Sterling, etc. are foreign currencies and as such foreign exchanges. Secondly, the term also commonly refers to some instruments used in international trade, such as bill of exchange, drafts, travelers’ cheque and other means of international remittance. Thirdly, the term foreign exchange is also quite often referred to the balance is foreign currencies held by a country. In the fiscal year 2010 Bangladesh economy was confronted with serious challenge, among others, the impact of divesting floods, the excessive price hike of oil and some other importable in the international market, in addition to the termination of the multi fiber arrangement. To cope with these challenges, the government and the Bangladesh Bank adopted a series of policies to enhance the resilience of the economy, while maintaining macroeconomic stability. These polices significantly contributed toward maintaining real GDP growth at a satisfactory level of 6.5 percent in the fiscal year 2010-2011 as against 6.3 percent in 2009.The reduction in growth of agriculture sector in Bangladesh affected the economy. Economic growth was aided by continuing rebounded exports, import and remittance. In U.S dollar terms exports earning recorded a growth of 14.7 percent while imports payments surged by 21.4 percent. At the same time, remittance from by 11.8 percent non-residence Bangladeshi nationals increased in the fiscal year 2010. Although the country’s external current account balance swung from surplus to deficit, the overall balance of payments continued to maintain a surplus that LD to further accretion to foreign exchange reserves, foreign exchange reserves stood at USD at more than 10.0 billion at the end of fiscal year 2010-2011. In terms of section 2(d) of the Foreign Exchange Regulations -1947, as adopted in Bangladesh Foreign Exchange –means foreign currency and includes any instrument drawn, accepted, made or issued under clause 13 of article 16 of the Bangladesh Bank Order, 1972, all deposits, credits and balances payable in any foreign currency and draft, travelers cheque., letter of credit and bill of exchange expressed or drawn in Bangladesh currency but payable in any foreign currencies. In exercise of the powers conferred by sec. 3 of the Foreign Exchange Regulation-1947, Bangladesh Bank issues license to scheduled banks to deal with foreign exchange. These banks are known as Authorized Dealers (AD). Bangladesh Bank also issues licenses to persons or firms to exchange foreign currency instruments such as Currency notes and coins. Import means purchase of goods and services from the foreign countries into Bangladesh. Normally consumers, firms industries and Government of Bangladesh import foreign goods /materials to meet their various necessities. So, in brief, it can say that import in the flow of goods and services purchased by economic agent staying in the country from economic agent staying abroad. The Ministry of Commerce in terms of the import and Export (Control) Act-1950 regulates import of goods into Bangladesh with Import Policy Order issued periodically and public notices issued time to time b y the office of the Chief Controller of Import and Export (CCI & E). A present, it is regulated by the Import Policy (1997-2006), which was come into effect on June 14, 1998. And Import Policy directs certain Import Procedure, which administers the whole activity. Creation of wealth in a country depends on the expansion of production and increasing participation in international trade. By increasing production in the export sector this bank can improve the employment level. Bangladesh exports a large quantity of goods and services to foreign households. Readymade textile garments both knitted and woven), Jute, Jute-made products, frozen shrimps, tea are the main goods that Bangladeshi exporters export in foreign countries. Garments sector is the largest sector that exports the lion share of the country’s export. Bangladesh exports most of its readymade garments products to U.S.A and European Community (EC) countries. Bangladesh exports about 40% of its readymade garments products to U.S.A. Most of the exporters who export through MBL are readymade garments exporters. They open export L/Cs here to export their goods, which they open against the import L/Cs opened by their foreign importers. Export L/C operation is just reverse of the import L/C operation. For exporting goods by the local exporter, bank may act as advising bank and collecting bank (negotiable bank) for the exporter. Foreign remittance section of MBL is an integral part of Foreign Exchange Department. And this section of Foreign Exchange Department deals with incoming and outgoing foreign currencies. Therefore based on its function, foreign remittances are divided into two types. Every organization is composed if some internal strengths and weaknesses and has some external opportunities and threats in its whole life cycle. The following will briefly introduce the customers to the mercantile bank ltd. internal strengths and weaknesses, external opportunities and threats as I have exposed in the past few weeks. Superior quality: Mercantile Bank Ltd. provides its customers excellent and consistent quality in every service. It is of priority that customer is very satisfied. Dynamism: Mercantile bank Ltd. draws from the adaptability and dynamism it possesses. It has quickly adapted to excellent standard in terms of banking services. Mercantile Bank Ltd has also adapted state of the art technology to connect with the world better communication to integrate facilities. Efficient Management: all the levels of the management of Mercantile Bank Ltd limited are solely directed to maintain a culture for the betterment of the quality of the service and development of a corporate brand image in the market through organization wide team approach and open communication system. State of the Art Technology: Mercantile Bank Ltd utilizes of the art technology to ensure consistent quality and operation. The corporate office is equipped with Reuters screen and SWIFT. All other AD branches are also equipped with SWIFT system. Experts: the key-contributing factor behind the success of Mercantile Bank Ltd is its employees, who are highly trained and most components in their own field. Mercantile bank ltd provides their employees training both in house and outside job. In house utility: Mercantile Bank Ltd is free from dependence on ever-disruptive power supply of our public sources. The company generates the required power through generator fed on diesel. Limited Workforce: Mercantile Bank Limited has limited human resources compared to its financial activities. There are not many people to perform most of the task. As a result many of the employees are burdened with extra workloads and work late hours without any overtime facilities. This might cause high employee turnover that will prove to be too costly to avoid. Problem In Delivery: Few of the products that mercantile bank are offered to its clients as if “Personal Credit (PC)” is lying idle due to proper marketing initiative from the management these products can easily be made available in attractive ways to increase its client base as well as its deposit status. Poor Information Evaluation System: The performance evaluation system in Mercantile Bank Limited is faulty. Though it is a private organization, many times are performance is evaluated in light of political performance. Poor Information Facility: As it has no library facility as this result, they cannot provide total information. Otherwise, they cannot provide and update their website. External forces: As a new bank MBL wants to follow the rules and regulation of Bangladesh Bank very strictly, but other banks do not doing the same as they are facing serious challenges in the market as well as to attaining their target also. Government Support: government of Bangladesh has rendered its full support to the banking sector for a sound financial status of the country, as it has become one of the vital sources of employment in the country now. Such government concern will facilitate and support the long-term vision of Mercantile Bank Limited. Evolution of E-Banking: Emergence of E-Banking will open more scope for Mercantile Bank Limited to reach the clients not only in Bangladesh but also in the global banking arena. The bank has already entered the world of E-banking and providing full electronic banking facilities to its customer. Information Technology: Banking and information technology might give the bank leverage to its competitors. Nevertheless, there are many opportunities for Mercantile Bank Limited to go for product innovation in lie with the modern day need. The bank has yet to develop credit card facilities, lease financing and merchant banking. Poor Telecommunication Infrastructure: As previously mentioned, the world is advancing E Technology very rapidly. Though Mercantile Bank Limited has taken effort to join the stream of information technology; it is not possible to complete the mission due to poor technological infrastructure of our country. Insufficient Attractive Product: Many banks are entering the market with new and lucrative products. Actually, the market for banking industry is now a buyer-dominated market. Unless Mercantile Bank Limited can come up with attractive financial products in the market; it will have to face steep competition in the days to come. In general banking department they follow he traditional banking system. The entire general banking procedure is not fully computerized. As a result some processes for example collecting money from the deposit take a long time to perform. The cash counter I think is congested and the procedure is also traditional. There is no computer in Accounts Opening Section and Remittance Section. That’s why the service is not as prompt as the customer’s demand. Lack of variety of services is also a drawback of the general banking area of the Mercantile Bank Limited, Main Branch. The Bank provides only some traditional limited services to its client. As a result the bank is falling behind in competition. They are not using Data Base Networking in Information Technology (IT) Department. So they have to transfer data from branch to branch and branch to head office by using floppy disk and sure it is not a good system. In case of opening an account some big parties are come to open accounts in reference with the high officials of the bank. They do not submit all papers that required opening an account and in future they do not feel any urge to submit those papers, but already they become accounts holders. I think in this case the authority is violating the rule. According to some clients opinion introducer is one of the problems to open an account. If a person who is new of the city wants to open account, it is a problem for him/her to arrange an introducer of SB or CD accounts holder. The loans and advance department takes a long time to process a loan because the process of sanctioning loan is done manually. Sometimes the employee to unlawfully help the client deliberately overvalues the securities taken against the loan. As a result if the client fails to repay the loan, the bank authority cannot collect even the principal money invested by the selling those assets. It is also a very important factor that leads to loan default. In foreign exchange department it is required to communicate with foreign banks frequently and quickly. To make the process easily modern communication media for example e-mail, Fax and win fax, Internet etc. should be used. But the bank has not so much practice of using these media. Even they have no any internet connection. They maintain their online banking only within their branch. (BDT in Millions) Balance sheet summary, 2005 to 2010. From the above findings we can see that the current ratios of the Bank are different in different years but according to the standard level all the ratio are below than standard. But ratio of 2007 is approximately (1.116) is higher than others years. And current ratio of 2005 is approximately (0.97) lower than other years which cannot be acceptable. From the above findings we can see that the Fixed Assets turnover ratios of the Bank in year 2009 are higher (1.27) is higher than other years and Fixed Assets turnover ratios of 2007 is (0.889) which cannot acceptable. From the above findings we can see that the Total Assets turnover ratios of the Bank in year 2009 & 2010 are higher (0.02) is higher than other years and Total Assets turnover ratios of 2007 is (0.012) which cannot acceptable because this is the lower ratio than 0ther year. The calculation value of Debt Management ratio 2006 is 93.94%, which shown that the year is higher. On the other hand Debt Management ratio 2010 is 91.75%, which is the lower percentage of funds provided by creditors. The profit Margin on sales ratio of 2006 is 105.84%, which is higher than the other year higher. But the profit Margin on sales ratio of 2009 is 61.63%, which is lower than the other years. The calculation value of return on total assets (ROA) of 2010 is 1.64% which is higher than the other years. But value of return on total assets (ROA) of 2008 is 1.10% which is lower than the other years. From the calculation value we can say that in the year of 2006 is 21.94% which is higher than the other. On the other hand the year of 2008 return on common equity (ROE) is 17.03% which is the lower than the other years. But over all observation is good. Observation part is only applicable to the Mercantile Bank Limited, Main Branch,Dhaka. Some of the observations are not mentioned here rather it has given as recommendation directly. Banking observation The bank has sufficient deposit to provide long term advances in the industrial sector. The bank has enough IT section. So the maintenance of computer is very sound and the bank has many permanent personnel for that purpose, hence it is bearing a large monthly expense in this regard. General observation ¨ The manager of branch is a very dynamic person and he is doing management by walking. He is well capable of handling a branch in an efficient and effective manner. ¨ In Main Branch of MBL, I have observed that the average age of the employees is near about “38”. ¨ Most of the employees are experienced banker. ¨ Most of the employees are familiar with computer. ¨ Few employees are not highly committed to their job. ¨ In Main Branch of MBL, I saw cordial relation among the employees do not exists. ¨ The decoration of the branch is not competitive. At the time of my internship program, I have worked with three departments of Mercantile Bank Limited, Main Branch. But this report is prepared focusing on General Banking, Credit and Foreign Exchange Department .The main task of General Banking Department is deal with account opening section, local remittance section, deposit schemes section, accounts section. Each of the aspects has been described in this report. Though the performance of general customer service is good, and their employees are well trained but shortage of employees and lack of space, employees cannot provide better service to the customer. So the authority ensuring this facility to provide good customer service, which will bring effectiveness of the bank’s operation. As the clients are not in favor of introducing system, if possible the rule of introducing to open an account should be changed. Because many people face in problem to arrange an introducer in the time of opening accounts. To make exchange process more prompt the authority should use modern communication system such as e-mail, win fax, Internet etc. Foreign exchange department should be fully computerized that the exchange process would be convenient for both the bankers and the clients. As soon as possible the bank should be established more ATM booth in Dhaka city as well as the other cities of the country. Authority should recruit sophisticate technology for conducting SMS Banking services. Now a day’s world is going very fast. Now most of the banks open online customer service system. So in order to compete in the world market they should adopt online customer service system. In addition with the present services they should include more services. It is immediately needed to provide more services to the customer in order to compete in the market. One of the business strategies is promotion. Successful business depends on how they can promote their products or services to the customer. In this connection to improve the business status bank should introduce more promotional programs. The bank should take attempt to increase its existing share into the share market by issuing primary shares to capitalize more money and invest thereafter by expanding the number of branches around the city. The recruitment process of the bank is very lengthy and expensive. The bank should reduce the cost and select the employee by restructuring the lengthy process. To provide quality service to the customer it is necessary to have a trained team. For this reason the bank should recruit fresher, energetic, and bright persons such as MBA, BBA, and MBM etc. graduate. A bank is an economic institution whose main aim is to earn profit through exchange of money and credit instruments. It is a service oriented as well as profit oriented organization. To perform those two functions simultaneously, the bank divides its operations mainly in three parts- General Banking, Loan and Advances, and Foreign Exchange. Bank also invests their money into different financial securities and also in different types of project to diversify the risk and getting more profit.The banking sector in any country plays an important role in economic activities. Bangladesh is no exception of that. As because it’s financial development and economic development are closely related, that’s why the private commercial banks are playing significant role in this regard. This report focused and analyzed on General Banking performance or we can say operational performance of Mercantile Bank Limited, Main Branch. Mercantile Bank Limited is a new bank in Bangladesh but its contribution in socio-economic prospect of Bangladesh has the greater significance. Total deposit of MBL Branch was Tk.75, 629.14 million as on end of December 2010, whereas total Loans & Advances were Tk. 66377.70 million. Here we observe its deposit figure is not so strong, so the bank should take necessary action for increasing deposit promptly. MBL should offer special deposit scheme with higher benefits, which is a keen need for long-term position in financial market. Because of the entrance of more banks in the financial market, deposits will be extended over. So it is high time to hold some permanent customers by offering special deposit scheme otherwise in future amount of deposit may come down. To strengthen the future prospect of branch, it is significant to collect more deposit. Comparably the MBL’s local remittance is less than the other banks because of less number of branches. MBL should extend its branches to become a sustainable financial institution in this country. Main Branch of MBL has been able to maintain its recovery position in sector-wise credit financing is up to the satisfactory level. At last it should give more emphasis in this sector acquires more profit.